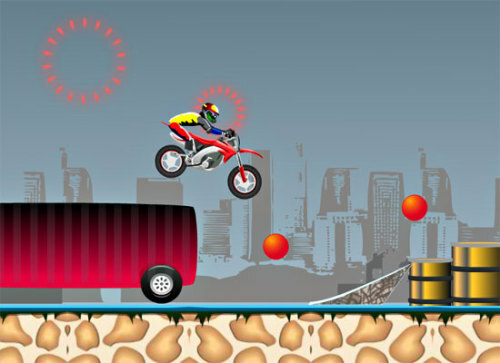 Description Ride your bike in this crazy stunt game. Score more points with exciting levels to finish. You have limited lives. Enjoy the ride!